We all know the drill. Touching up models, adding static grass, maybe making you last minute display board. I didn't think I had much to do but it turns out I needed quite a few touch ups before I hit Adepticon.I spent the last few nights preparing my Skaven while @Luckysixes finished up her Daemons (that I would also be using in the Team Tournament) for her first Adepticon. She will be playing in the It's How You Use It second tournament, and I will be playing the Skaven in the Big Brawl, Chamionships, and Team Tournament (as Daemons with Dark Elves). 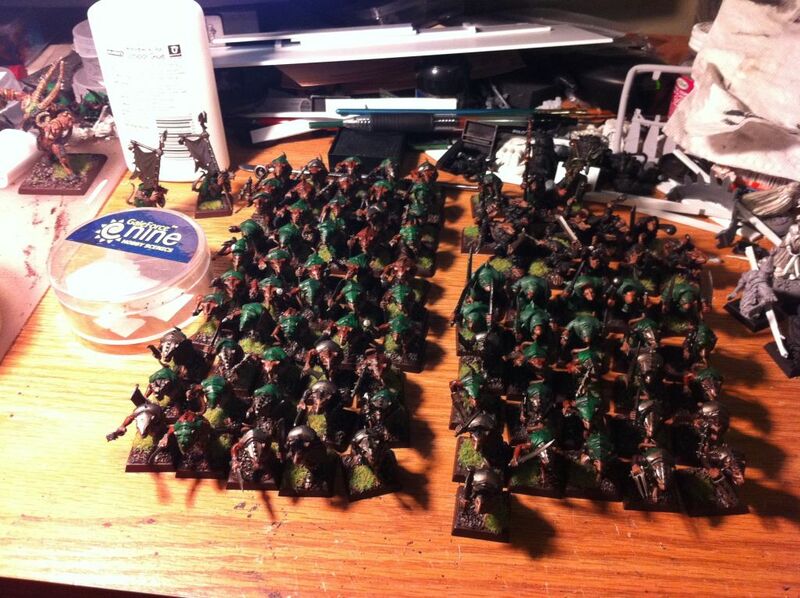 Here is some of what I've been working on, along with a shot of how far the Daemons have come. I actually had about 80 models that needed static grass, ugh! My Big Brawl list is up to 280 models this year. 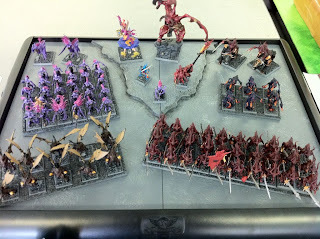 The Daemons looked great at the GLWL. 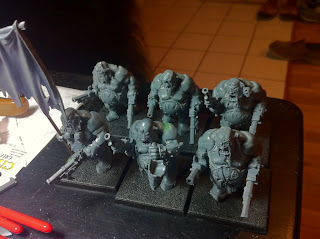 I've also been working on Man-Eaters for the Ogres! I really, really like these models with the pistols. The pistols are all from the many Mournfang kits I have. good luck and i'm digging the conversions on your ogres so far.